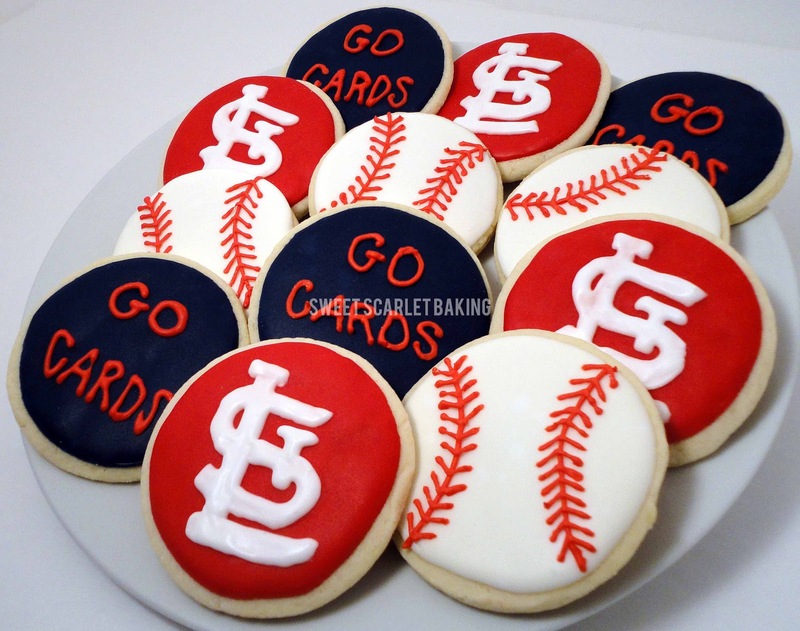 Sweet Scarlet Baking: Let's Go Cards! St. Louis is a baseball town! We love our baseball Cardinals. They are the reigning champions and have made the National League Championship Series. My mother-in-law ordered these decorated sugar cookies to share with her fellow work mates to help cheer the Cardinals on to victory.